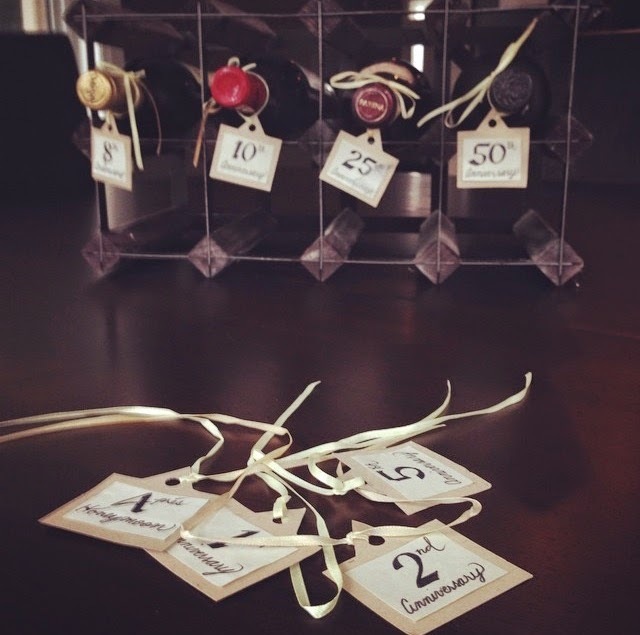 When Rob and I got married, we were gifted 8 bottles of wine each tagged with an anniversary on which they are to be opened. The first bottle was a bottle of white wine tagged as après honeymoon. For our first anniversary, it was a delicious bottle of Moët. Then there are a variety of reds for our 2nd, 5th, 8th, 20th, and 25th anniversary. Finally, there is a bottle of port tagged for our 50th anniversary! This was by far and away one of the coolest, thoughtful, and most unique gifts we have ever received. It really is the MVP of wedding gifts. Our 50th wedding anniversary is August 9th, 2059. I'll be 78 years old, and Rob will be 89. Seb will be 47. That is a long time to hold onto a bottle of port, but I'm determined to make it happen. 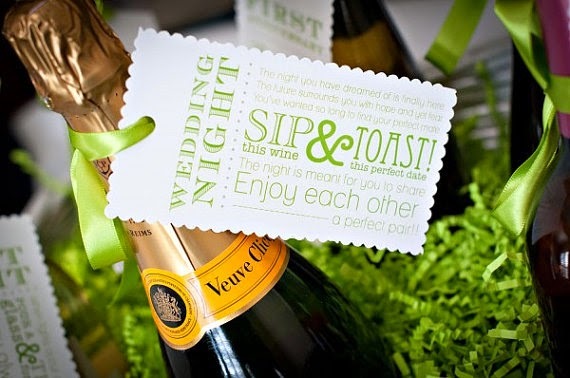 This would be a super easy DIY gift for an upcoming bridal shower or wedding. Otherwise, there are a few really great options on Etsy. 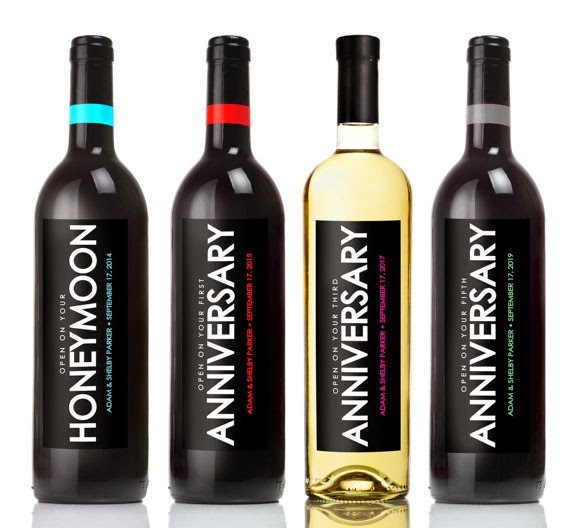 Here's a set of anniversary wine labels you can purchase in advance and then stick right on the bottles. An alternative to the labels above are tags. That's what Rob and I were gifted. Our friends are quite crafty, so they made the tags themselves, but here is a beautiful set your can download from Etsy (in almost any colour!). So, if you have a bridal shower or wedding on your calendar this summer, try this type of gift. I promise, the bride and groom will love it! 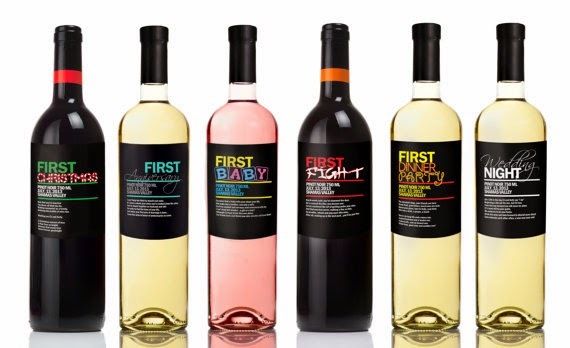 PS - If you're headed to a baby shower instead, they also have this set of wine labels for a number "first" parenting milestones. 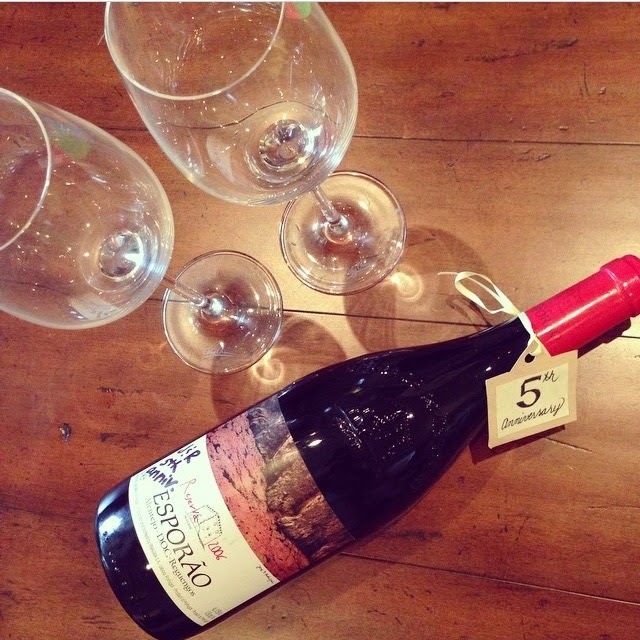 A bottle of wine specifically tagged for Baby's First Diaper Explosion? Yes please.